By: Edi Suhardi* | Rising global environmental awareness has brought about a new trend in Indonesia on environmental activism among the government and business players alike. The country has become a playing ground for environmental activism and has seen significant influence by the Civil Society Organization (CSO) in advocating nature conservation and environmental stewardships in all development sectors. Currently, there is a new trend of environmental activism by the government and businesses, which are both competing to win international recognition as environmental champions. While the effort is worthwhile, skeptics argue that environmental activism by the government is inappropriate as it compromises its role as facilitator and regulator of the industry. Furthermore, the engagement of businesses in environmental activism is often considered to be a means to greenwash and violate fair business principles. Business activism is often marked by the introduction of a set of unilateral terms and conditions that may be deemed as self-defined protectionism. The palm oil industry experiences competing environmental activism between the government and businesses. The introduction of Indonesian Sustainable Palm Oil (ISPO) and a moratorium on oil palm plantation and mining development are evidence of the government’s activism to safeguard its credentials in the international community. Despite it being mandatory in nature, businesses are not enthusiastic about advocating it due to the absence of incentives and lack of market acceptance. Some progressive palm oil companies have jumped on the bandwagon of environmental activism facilitated by the Indonesian Chamber of Commerce and Industry (Kadin) in a forum called the Indonesian Palm Oil Pledge (IPOP) in 2014. The IPOP reflects the environmental activism of business players, where a group of six palm oil conglomerates made a common pledge on environmental stewardships in the palm oil industry. While the rationale and objectives of government environmental activism is rather straight forward in dealing with criticism of the country’s environmental record, the motives and aims of business activism are rather controversial. There are three possible motives and intentions in business engagement in environmental activism. The first is purely a case of a business to obtain green credentials for palm oil products to access a niche market with a premium. 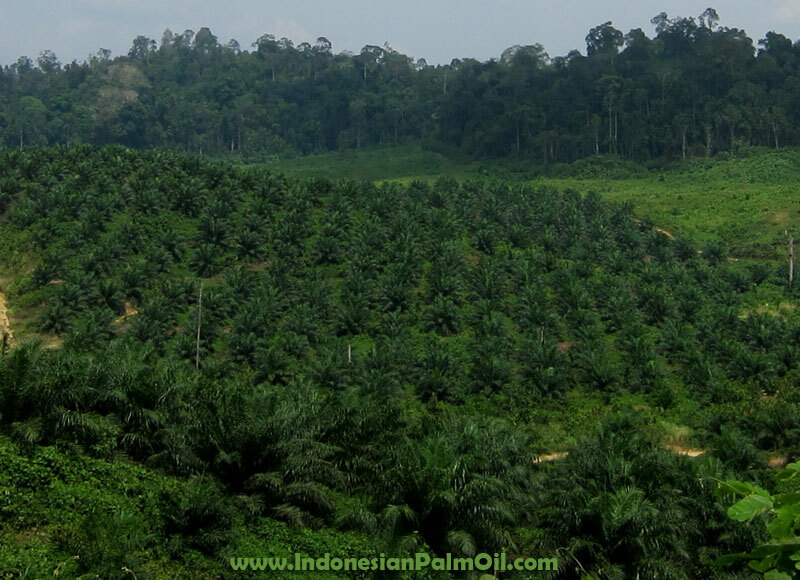 The second is to prevent a tarnished reputation and to pacify palm oil watchdogs. The third is suspected green-washing by deliberately omitting and making peace with past issues and problems for the sake of commitment to future undertakings. The issue of green-washing, which betrays fair business principles, emerged when the internal system and procedure of the activism forum, i.e. IPOP, failed to address four key aspects, namely eligibility, transparency, fair business and motives of committed members. The forum is set to be the paragon of environmentally conscious companies and it therefore needs to set a criteria of eligibility for companies to join as members. Only conflict-free, committed companies that have cleared up past issues and committed to the future should be eligible for membership. On transparency, the forum has to develop a mechanism to enable the public to gain full access to information on the implementation of commitment by member companies. It would facilitate companies in disclosing past records, current operations and plans that would allow public scrutiny. The government has also demonstrated resentment to the initiative as it is likely to breach fair business conduct because it could potentially alienate smallholders and partner companies in their value chains. Other concerns include the signatories’ commitment to effectively stop new oil palm plantation development due to a number of restrictions, which contravenes government policy. One of the challenges of government and business engagement in environmental activism is the need for a platform that is recognized by both member companies and stakeholders, particularly the market, CSOs and value chains. Unlike the Roundtable on Sustainable Palm Oil (RSPO) where fully committed members and certified sustainable palm oil (CSPO) products are eligible for incentives, the IPOP has neither developed a scheme for incentives for committed members nor sanctions for non-committal ones. The ISPO is a form of government activism by legally enforcing sustainability standards as a mandatory certification scheme, and noncompliance will be penalized. Meanwhile, the platform of IPOP has not been acknowledged by the market or the government. A platform for environmental activism in the Indonesian palm oil sector could be shaped into integrated ISPO standards with add-on requirements from any business forum or initiatives, including the IPOP. The ISPO with add-on commitment from business activism could be named ISPO Plus, and be expected to meet market demand for stringent environmental and social standards. Such converged standards must be developed through an inclusive and transparent process, engaging CSOs, supply chains and smallholders, which would provide an avenue for businesses to showcase their environmental commitment without the baggage of green-washing and protectionism. Under such a comprehensive and inclusive platform, environmental activism would correspond with and be integrated into fair business practices. The new incentivized market for ISPO Plus could be created with market endorsement, which would provide both added value to palm oil products both with a premium price and reputational credentials. Inevitably, it would create a two-tier market for ISPO and incentivized ISPO Plus. This is similar to RSPO, with RSPO Next as the add on to RSPO standards. Better yet, the ISPO Plus would have the luxury of government recognition, something RSPO does not have. The introduction of multi-layer standards for multi-tier markets demonstrate a new commitment of environmental activism that align with or are integrated in fair business principles by providing a level playing field and equal footing for all relevant players under non-discriminatory market access. * The writer is the vice president of the Roundtable on Sustainable Palm Oil (RSPO). The views expressed are his own.